Recently, I had an older Windows 7 based Toshiba Laptop given to me in exchange for removing the personal data off of the drive. The laptop was suffering some other issues, as well; that I was able to fix. The laptop is approximately 5 years old and came at a time when I was giving my brother a another computer I had, to install in his man-cave (garage)… The Toshiba became my own man-cave (garage) computer, after upgrading the computer with a Solid State Drive. To breathe new life into this laptop I installed the Transcend Information 256 GB SATA III 6 Gb/s 2.5-Inch Solid State Drive. For the money, it was a no-brainer. The difference this upgrade made was very noticeable (faster boot time, faster program loads, and a faster internet experience). A nice thing about the SSD370, is that it includes a 3.5-inch mounting kit, consisting of a bay adapter and 8 mounting screws (in the event you decide to install this drive in a desktop computer). Once attached to the chassis, you can use the 2.5-inch SSD370 in the standard 3.5-inch space. I recently purchased a new Windows 8 Box (see this article) and decided I wanted to make a bootable cloned drive. Being old school I went to work using the cloning software I had on hand and I immediately noticed something different in the drive partitions. The free software I was using was not getting the job done; and the drive, after the cloning process, did not boot. My tech instinct told me I was missing out on something and went to work researching terms I was seeing, such as GPT and UEFI. I had been out of the field for nearly 7 years, have kept up with things (more as a hobby), but was not real familiar with the new GPT and UEFI terms that I was seeing. I had heard of the terms, but really did not pay any attention to them. Besides I always was a more of a software guy than a hardware guy (so it really did not hit high on my priority list, until now). I soon discovered that all Windows 8 machines nowadays support the new GPT and UEFI ; AND, that it is real important to know what GPT and UEFI are when you get into the hardware side of a Windows 8 based computer. In real simple terms GPT is the new replacement for MBR – Master Boot Record and UEFI is the new replacement for the BIOS – Basic Input/Output System. To define GPT and UEFI in more complex terms (and to get a full understanding), I went to Wikipedia for a definition and found two really good articles that will bring this all together. If you read this article “UEFI boot: how does that actually work, then?” you will see where the author adamantly is telling us UEFI and BIOS are two completely different beasts. This article in my opinion really nails down all of this stuff to the point where I found a lot of what I had been reading was off base due to people using the terminology incorrectly. Getting back to my original problem of cloning my Windows 8 hard drive, I now knew I needed to find cloning software that supported GPT and UEFI. This is where I found Macrium Reflect (FREE Edition), which supported the cloning process for GPT and UEFI based systems. Macrium Reflect is a free disaster recovery solution for your home computer that primarily specializes in making drive images. When it comes to cloning Windows 8 or 8.1 you need to use the right software for the job, whats even better you don’t have to pay. Here is a free option that lets you clone Windows 8 or 8.1 with ease. The program is called Macruim Reflect, it supports the new GPT and UEFI BIOS that all windows 8 machines come with now days. A good friend pointed me into the direction of NewEgg on eBay for the SAMSUNG D3 Station 4TB USB 3.0 3.5″ Desktop External Hard Drive STSHX-D401TDB Bl. Appears the sale on this ends in 4 days and there is a limited supply. 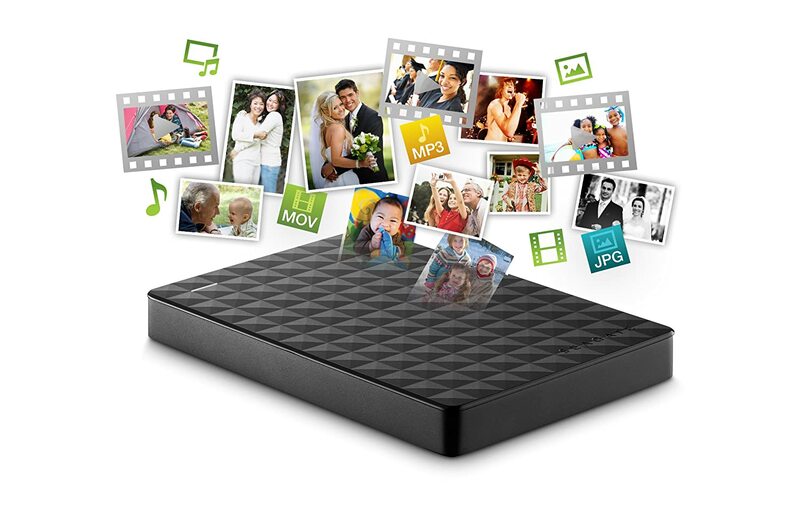 Provides 4TB of desktop storage for all of your music, videos and photos. I don’t know if this is a Labor Day special or not, but Amazon has the SanDisk Ultra II 240 GB 2.5-Inch Solid State Drive at 38% off the regular price. 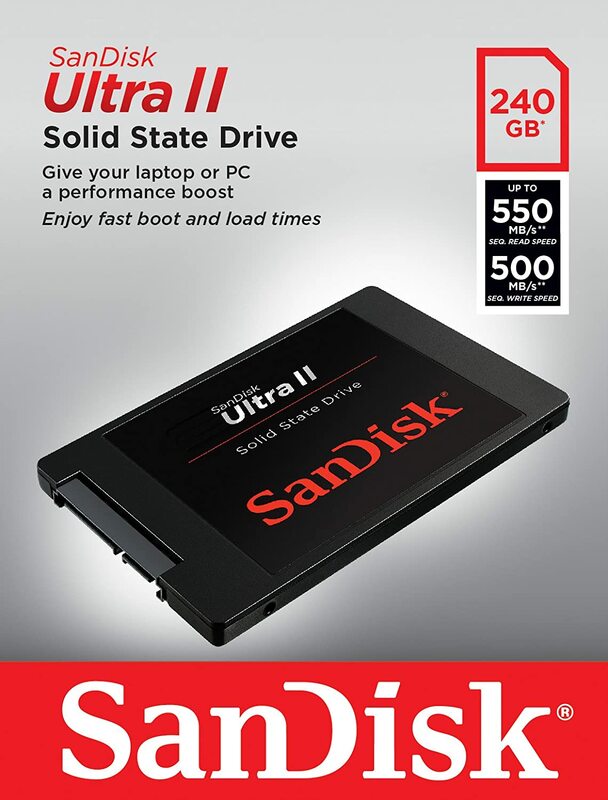 The SanDisk Ultra II SSD is an easy and affordable way to upgrade and boost your PC’s performance by up to 28 times (1). With this performance boost, you can enjoy no-wait boot up, shorter application load times, and quicker data transfer to make multi-tasking easy when it comes to work, entertainment, or both. In addition to cooler, quieter computing, the SanDisk Ultra II SSD adds up to 15% battery life to laptops and notebooks (2). From a global leader in flash memory storage solutions, the SanDisk Ultra II SSD can extend the life of your computer. SSD (Solid State Drive) – Have no moving (mechanical) components. This distinguishes them from traditional electromechanical magnetic disks such as hard disk drives (HDDs) or floppy disks, which contain spinning disks and movable read/write heads.Compared with electromechanical disks, SSDs are typically more resistant to physical shock, run silently, have lower access time, and less latency. Now that we have the definition SSD out of the way, make sure you read the article at “How To Geek” on “It’s Time Why You Need to Upgrade to an SSD Right Now“. I have one of these drives on order and thought I would share this with my readers. If you have any SATA drives laying around, the ORICO external docking station is an economical (and easy) way to put those drives to work. I plan to use the spare drives I have to perform backups. The ORICO Docking Station has great customer reviews and can be found HERE. Volume ² is very nice Windows volume control that gives you the ability to control your computer’s volume using the mouse wheel, hotkeys or on a schedule. Volume ² – alternate volume control that can completely replace the standard Windows volume control. Volume ² provides a simple set of hot keys and mouse events to control the volume.Also, it is a simple task scheduler that allows you to run an application or control the volume.Volume ² has a multilingual interface: Russian, Ukrainian, English, Chinese, Armenian, German, Spanish, Polish, Italian, etc. Note: When you visit the site it is in Russian and will need to translate the page. In my case, I am using Google Chrome with a built in translator. You may have been reading about the electronic money currency called Bitcoins. Bitcoins recently have gained in value to the point where they are turning the heads, on not only people, but entire countries. If you didn’t know, per Wikipedia, Bitcoin is an open source peer-to-peer electronic and money payment network introducted in 2009 by pseudonymous developer Satoshi Nakamoto. Buried somewhere under four feet of mud and rubbish, in the Docksway landfill site near Newport, Wales, in a space about the size of a football pitch is a computer hard drive worth more than £4m. I would really love to see these Android desktops take off. Definitely would make computing a lot easier for those folks who have struggled with learning Windows; not forgetting to mention, Android eliminates a lot of the bulk. Squeak #4: There is no reason in the world for not backing up your personal files. Today’s featured computer gadget is a Seagate portable hard drive that will get the job done for you! What many of you do not know is that I often use the blog to document tips, that I come across, for my own future reference. Today’s post is a good example of this. Recently I discovered that I can create a Windows 8 desktop shortcut that will launch the Windows 8 GUI (graphical user interface) menu for all of the apps and software that I have installed on my computer. As you well know, if you are a Windows 8 user, there is no Start Menu. This shortcut, in essence, will go to serve the same purpose of the Start Menu; however, in appearance it does not look like the Start Menu you have been accustomed to. The good about this is, that once you click the shortcut and you get to the apps screen, you can simply start typing to search for the app or software program you are looking for. For example, let’s say I want to launch the calculator that is built into windows. I simply click on the shortcut that will launch the Windows 8 GUI menu or apps screen, then start typing calculator and very quickly the tile to launch the calculator will appear. After you click on Next, another dialog box will launch prompting you to give the shortcut a name. In this case, I named the shortcut Windows 8 Apps. After you enter the name for the shortcut, click on Finish. What I am finding, by using this shortcut technique, I am using the Windows 8 GUI menu (or apps screen) on a regular basis. Next gen console unveiled on 21 May? I don’t know about you, but I am constantly trying to keep track of what I things I need to do, in an effort to keep my life in order. I have tried virtually everything from task managers, to virtual post-it notes, to note keeping software. Today, I came upon another online player called Holly that gives you the ability to maintain nested to-do lists. What is unique about Holly is that it is a simple online text editor where the tasks you create are mini-projects with their own sub-tasks. Holly is visually appealing, easy to use, and no sign up is required. Simply visit the site and start editing the list and you are automatically assigned an unique web address that can be shared with others. It is important that you remember (or bookmark) the address your are assigned. At first it took me a little while to understand how Holly worked, but once I got it down, I can honestly say I will be using Holly on a regular basis. Another selling point to me was that Holly works very well on my tablet. Edit pure text – Edit your tasks with the most powerful input method that exists – a simple text editor. Nested TODO lists – Tasks are mini-projects with their own sub-tasks, which you can track in lists of lists. Quickly re-arrange items with drag’n’drop. Keyboard controlled – Everything you can do in Holly you can do with either a keyboard or a mouse. There are hotkeys for everything. Collaborate – Share lists with your coworkers, friends and family. No sign up required. All your tasks, everywhere – Access your tasks from any browser. Holly also works great on your iPhone or Android device. I cannot stress the importance of backing up your personal files (such as your documents, pictures, and videos). A surefire way to get this done is by purchasing an external hard drive; and, to really make it easy I suggest one of the portable external hard drives that you simply plug in the USB port and start using it. The beauty of the portable external hard drive is that you can easily move it from one PC to another; PLUS, you can then store the drive off site (in the event disaster at home would occur). Many of the portable external hard drives are small enough to easily fit in a briefcase and even your pocket. A good choice to take a look at is the Western Digital My Passport series of drives (e.g. My Passport Essential SE 1 TB USB 3.0/2.0). The key feature with this drive is that it features dual USB 3.0 and USB 2.0 compatibility. If you are not backing up your files, here is a good way to start. Believe me, I have seen people turn ghost white, cry, yell, and stomp when told there files are gone. Freemake Video Converter is designed without any limitations, hidden costs, sneakware or adware! This is freeware of new level, which offers a quality alternative to paid products. A friend recently came to me with an old IDE hard drive that was determined to be dead by a computer tech. He had held onto the drive, which was several years old, with the hope that someday the data on the drive could possibly be recovered, without costing him an arm and a leg. Typically, professional data recovery can be very expensive and there are no guarantees the data can be fully recovered. As a challenge, I opted to take a shot at recovering the data on the drive. I placed the drive in an external drive enclosure, powered it up and connected it to my PC. The first bad sign was the clunking noise being generated from the drive and the drive not spinning up properly (which indicated a mechanical problem); AND the second bad sign was that my computer could see the drive but was unable to pull up the file/folder structure (which indicated a potential drive sector or partition issue). At this point, I had to agree with the original tech’s assessment of the drive; however, it hit me to try a couple of things out of desperation. I put the drive in a ziplock plastic bag and placed it in the freezer for a couple of hours. The theory being that this would cause contraction of the metal parts in the drive. Following the deep freeze, I quickly connected the drive to the PC and I could tell immediately that it was spinning up and the clunking noise had dissipated. My PC could see the drive; however, the sector/partition issue was still looking me in the eye. What I did next was really out of desperation. I started thinking, I can see the drive and if I can see the drive can I format it? My plan was to do a “quick format” then use data recovery software to extract the data on the drive. Guess what? It worked! Using data recovery software (called Power Data Recovery) I was able to extract every single bit of file data from formatted the drive ( a total of 21 GBs of data). Using the Power Data Recovery software, the data recovery process took over 8 hours to complete. The Hard Drive Freezer Trick – I do think there is something to this! Backup Your Files – If you have files on your PC that is close to your heart and soul, make sure you back them up. Hard Drives do and will fail. Question: How do I destroy an old hard drive? In my bookcase I found an old Seagate 20 Gigabyte hard drive left from an old computer I had. I don’t want to just toss it in the trash because I think it can still be used by someone to get personal info of mine off of it. The only way I know of to destroy it is to put it on top a couple of bricks and whack it with a large ball-peen hammer. Another way, I think, is to disassemble it and take the disc out and cut it up. What suggestions do you have? Appreciate your help. I applaud my friend for even giving thought to this. 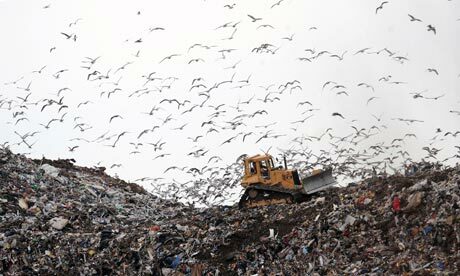 I have personally seen people dump their PC’s and hard drives, without giving thought about the data. From my experience, you would not believe the data I personally have come across on secondhand PC’s and hard drives. Please let us know your solution to this problem by commenting below. Thank you ! How many Yottas do you have? As long as I have had a passion for computers I have found that others with this passion like to sling around the computer terms. It is very common amongst the nerd pack to brag about how many Gigs (gigabytes) they have in terms of “how big” their hard drive is or how much storage they currently have; or how much memory installed in their PCs. I think it is a man thing… Well, let me tell you; I bet you don’t have a Yottabyte! I was just browsing Steve Mallard’s blog at the Tennessee Technology Center at Shelbyville (TTC Shelbyville) and noticed a post titled “Yottabyte” that displays a nice chart that explains how big a Yottabyte is. For example, did you know that the cost of a one terabyte drive today is approximately $100 and at today’s pricing levels it would cost a 100 trillion dollars to buy a Yottabyte of storage for just the hard drives? Yo, how many Yottabytes do you have (LOL)? Get over to TTC Shelbyville to check it out your nerdhood and to get a brief visual lesson about terabytes, petabytes, exabytes, zettabytes and Yes; Yottabytes. If you are someone, like myself, and manage many different types of drives on your computer (e.g. 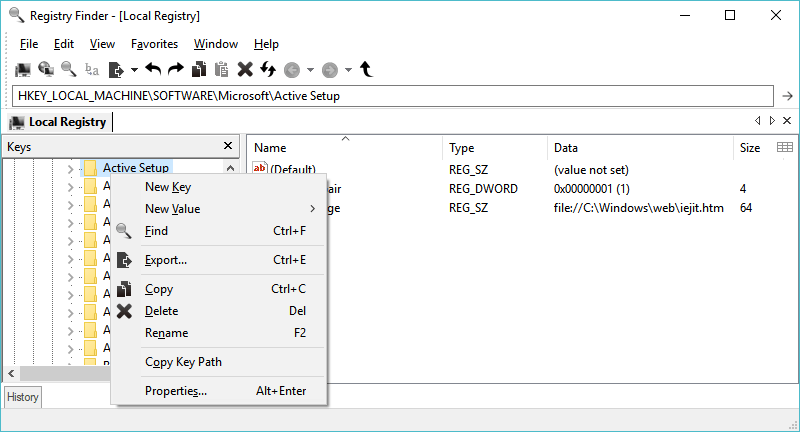 external hard drives, flash drives, cd/dvd drives, memory card drives, etc…) then you may want to take a look at the utility called Drive Manager. Drive Manager is a very helpful program that will display every available drive on your computer system, the free space available on each drive and whether the drives are mounted or not. If you are someone that moves from PC to PC, there is a portable version, as well. I currently use this application to get an immediate summary of the drive space available on all of my drives. Great little app for FREE! Lock / Unlock CD ROM / DVD drives. Map / Disconnect network drives. Hide / Unhide drives from explorer. Create / Remove a substitute drive letter for a local folder. I have been doing computers for many years and over that many years I have accumulated and collected thousands of files (and folders), such as downloads, pictures, videos, documents, etc… Fortunately, I have an organized method to my madness for managing my files (and folders) so that valuable disk space is not wasted. One such method that I use to collectively visualize my madness is a FREE and PORTABLE utility, called TreeSize Free. TreeSize Free is an utility that will show you, in a graphical sense, what files/folders are consuming the most space on your hard drive. When you first run TreeSize Free you need to click on “Scan”, then select the drive you desire to analyze. The scan is performed in threads, which means you will see results while the program is working. On my first scan of my system, it took about minute to complete the scan, which is typical (and actually pretty fast) for a program of this type. The cool factors to this little gem of a program is that; you can break down the results (or values) by kilobytes, megabytes, or gigabytes; you can list the results by size, allocated space, percentage, cluster size or by file count; you can sort the results by name or size; you can use the Windows Explorer right click menu directly in the program; AND, you can print out a very nice report of the scan results. For a program that is small in size (and portable); it serves a very practical purpose by showing you what files and folders are hogging up disk space. TreeSize Free can also come in handy for locating those huge file downloads that you forgot about or when you are assisting someone with cleaning the file contents from their PC to reclaim disk space. Personally this is a “must have” program on everyone’s PC or flash drive. Most techs out there will relate to this when I say, JKDefrag is the ugly duckling of disk defragmentation and optimization utilities; BUT, in terms of function and getting the job done, it is the workhorse. Jeroen Kessels, the brainchild behind JKDefrag, recently announced with the release of Version 4.0 it has been renamed to “MyDefrag” . According the the web site, the name change was made due to a customizable scripting language being added, as well as other improvements. The program is now called “MyDefrag”, because it has a scripting language and you can customize just about every aspect of it. It is no longer the “JK” (Jeroen Kessels) defragger, but “my” (your) defragger! MyDefrag is sort of a techie type of utility and requires some minor configuring to defrag external drives; BUT, if you do install it, it will (by default) defrag or optimize your hard disk (C:). There are several options (or strategies) to pick from when using MyDefrag (see menu options below). 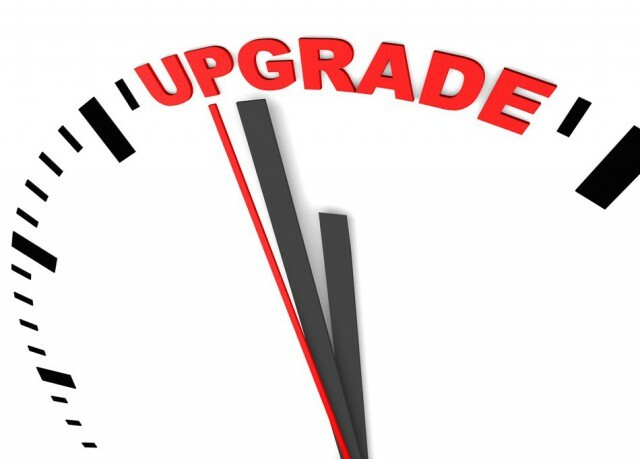 According the the web site it is best to to run the “Fast Update” script once per day on a fixed schedule and run the “Slow Optimize” script once in a while by hand, for example every 2 weeks or so. Another good option is to use the “Fast Optimize” script every day, without running “Slow Optimize”. I encourage you to visit the MyDefrag site [ HERE ] to read about this third party utility AND to learn more about “how and why” you should be defragging or optimizing your computer’s hard disk. To educate my readers, solid-state disks are stationary electronics (no mechanical action) that is the future replacement to the hard drives we have in our PC’s today. In actuality, SSD is not disks as we know them today. SSD’s uses solid state electronics and memory to store data (very much like our portable flash drives). The hard disk drives in our PC today consists of rapidly rotating platters with magnetic surfaces to store encoded data.